Life gets weird when you’re adopted by an alien. 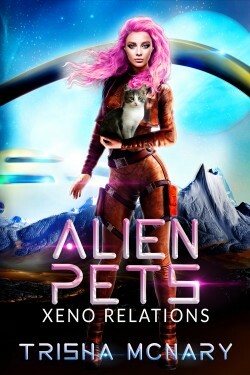 One million years in the future, young human Antaska and her psychic cat are adopted as pets by a gigantic alien. Traveling in outer space, she becomes telepathic in a world where that’s dangerous. Then she gets into a love triangle that’s even more dangerous. Her cat tries to tell Antaska what she’s doing wrong, but will she listen?